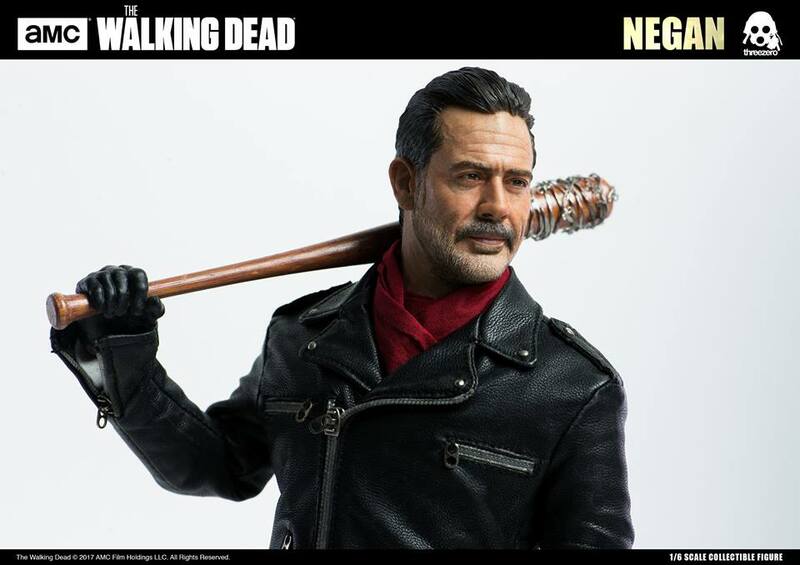 1/6 scale Negan collectible figure, continues our AMC The Walking Dead license is now available for pre-order at price: 168USD / 1310HKD with Worldwide shipping included in the price. 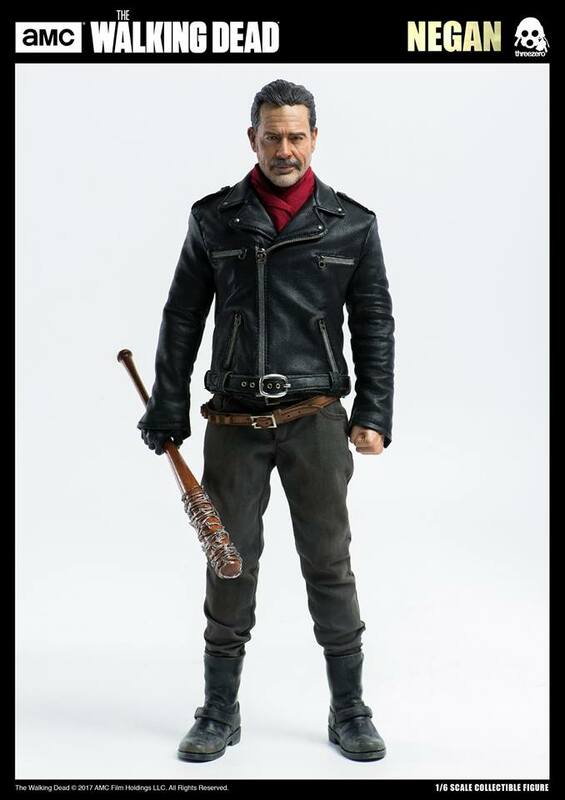 All Negan collectible figures purchased at www.threezerohk.com will be coming with free threezero t-shirt. 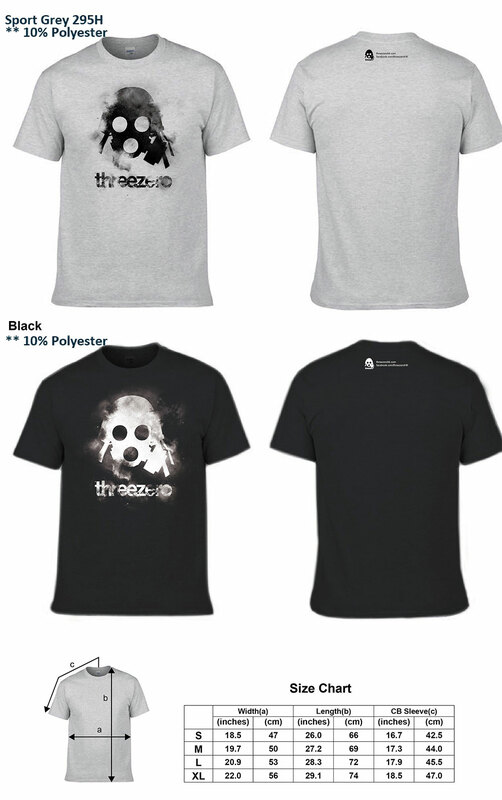 Please choose color (black or grey) of the t-shirt and your preferred size (S – XL) during the purchase. 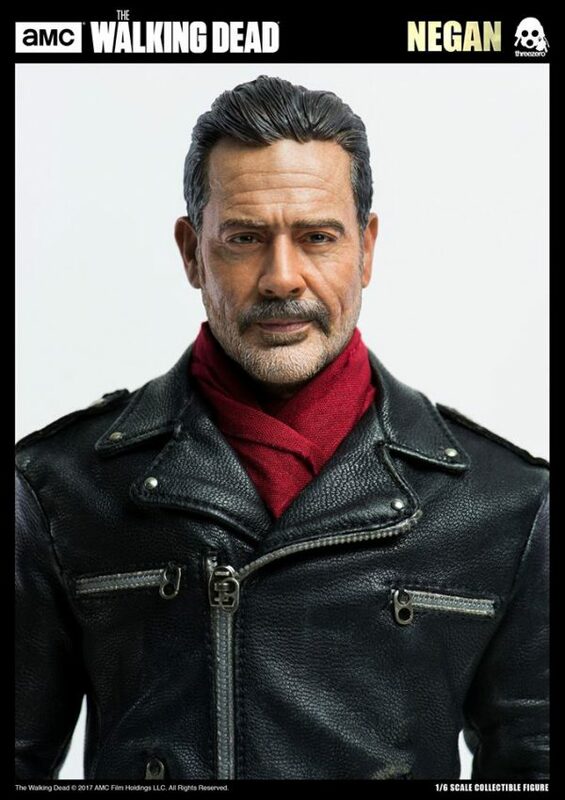 If you will not specify size or color, we will send you grey t-shirt in L size. Please keep in mind: Even if you already had an account at our old store, you will need to complete quick and easy registration procedure again at threezero Official Website. 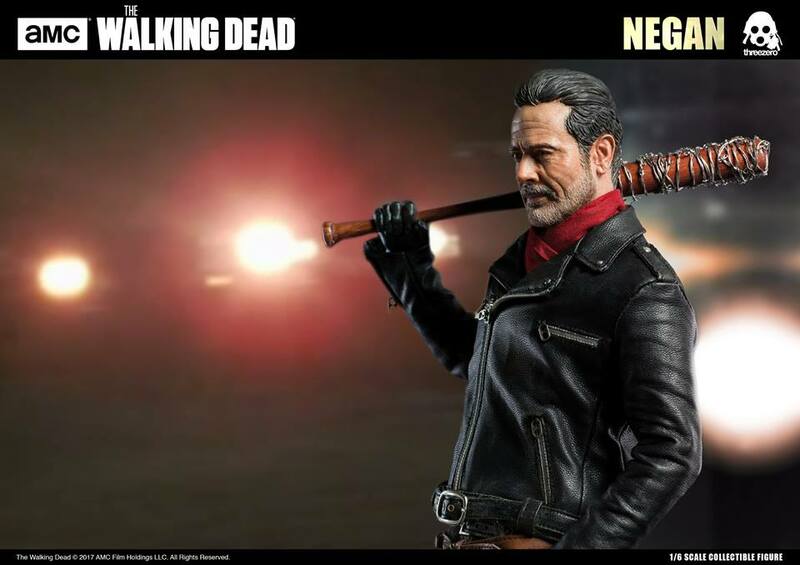 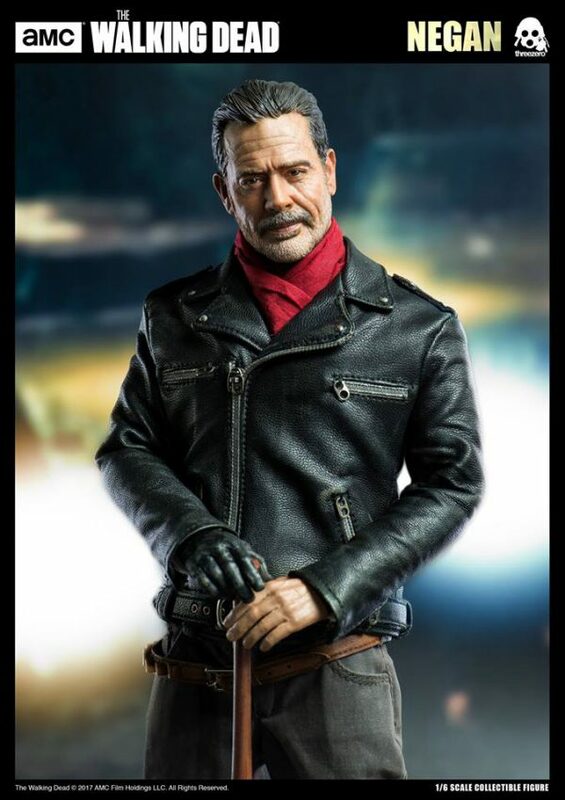 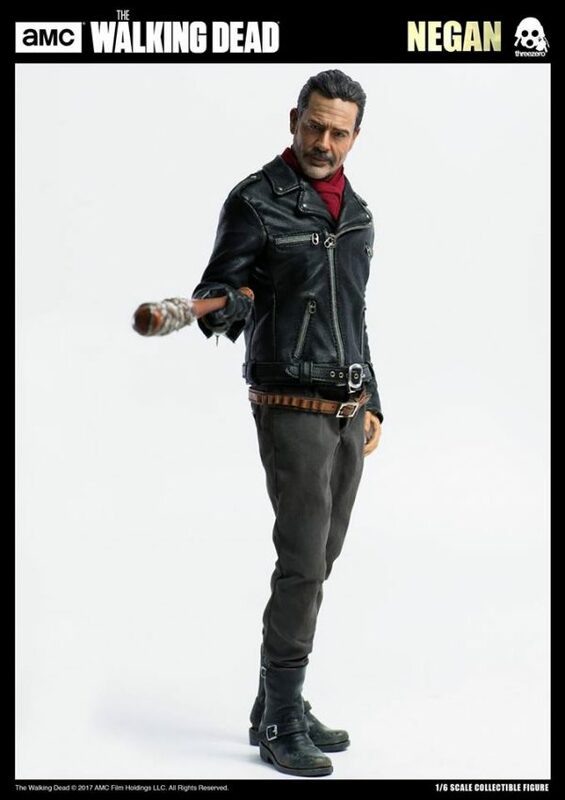 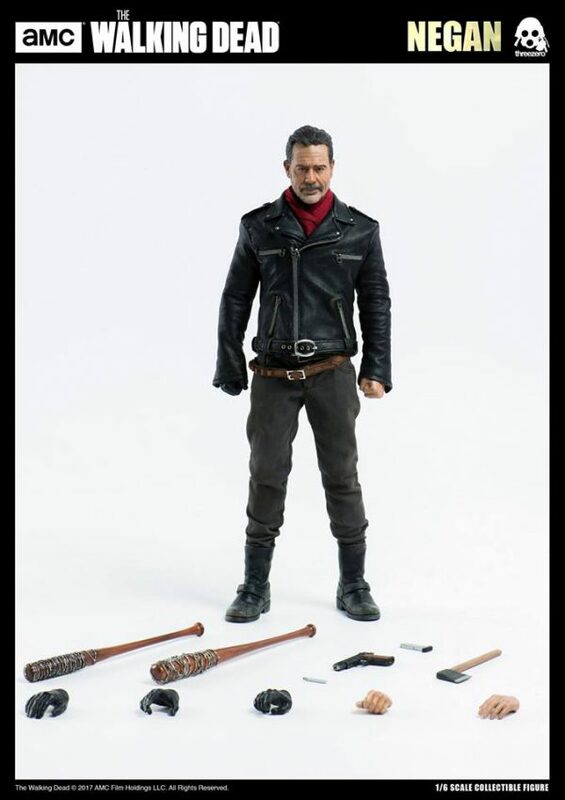 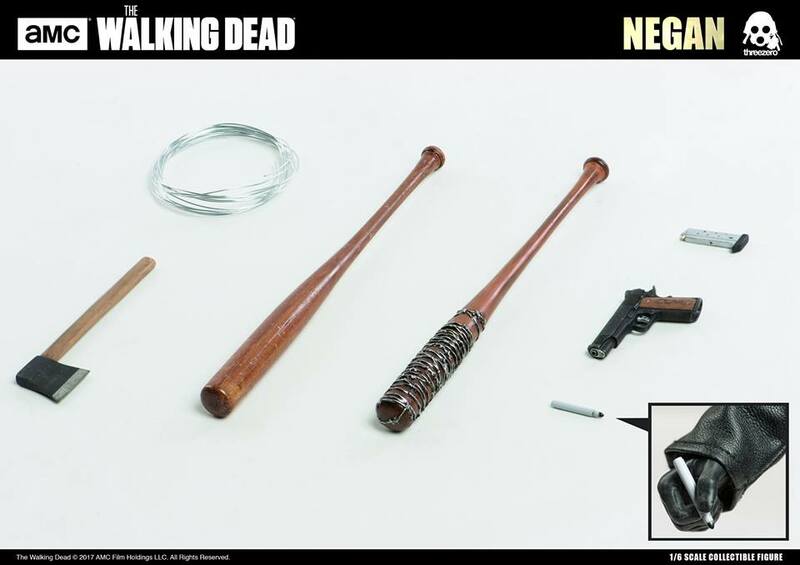 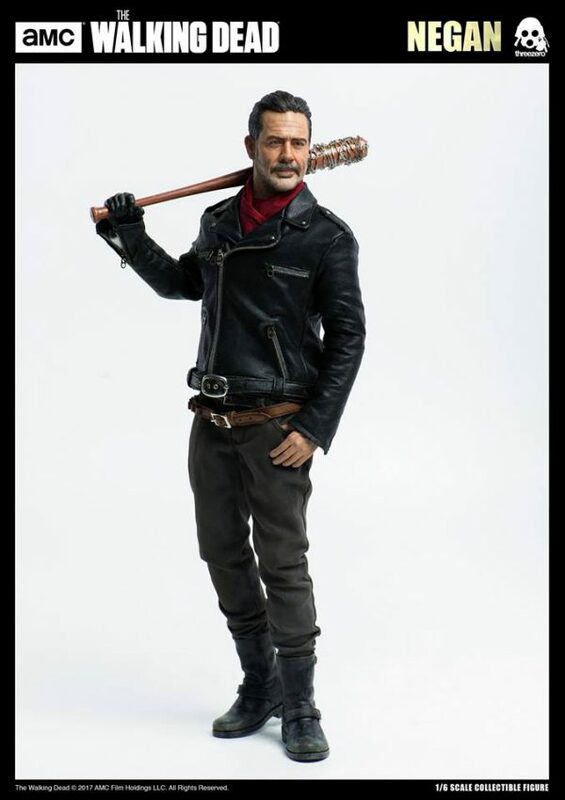 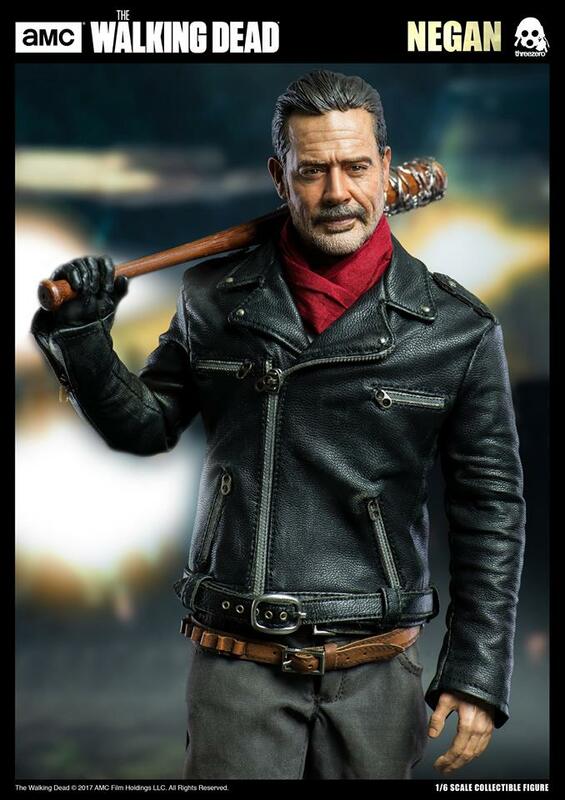 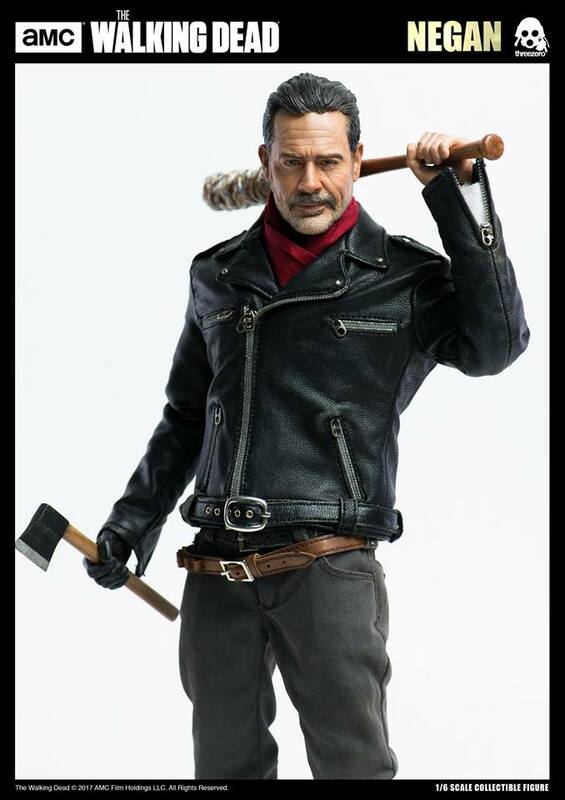 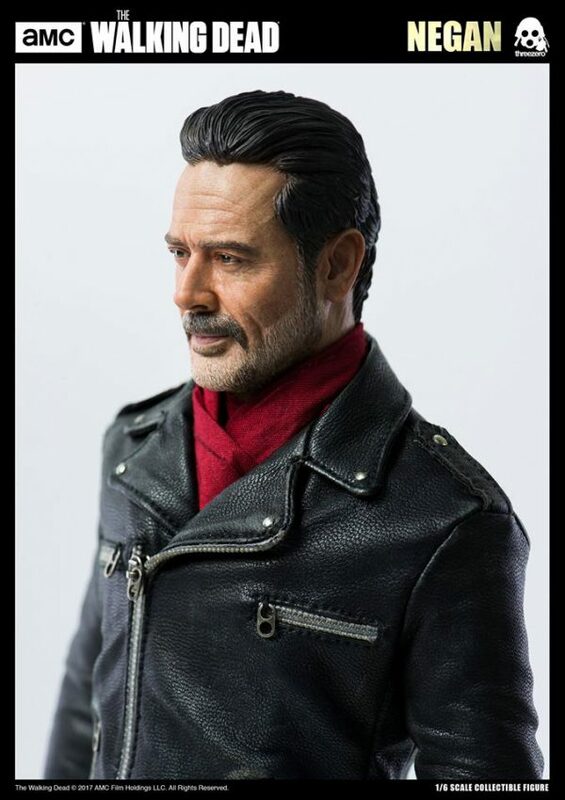 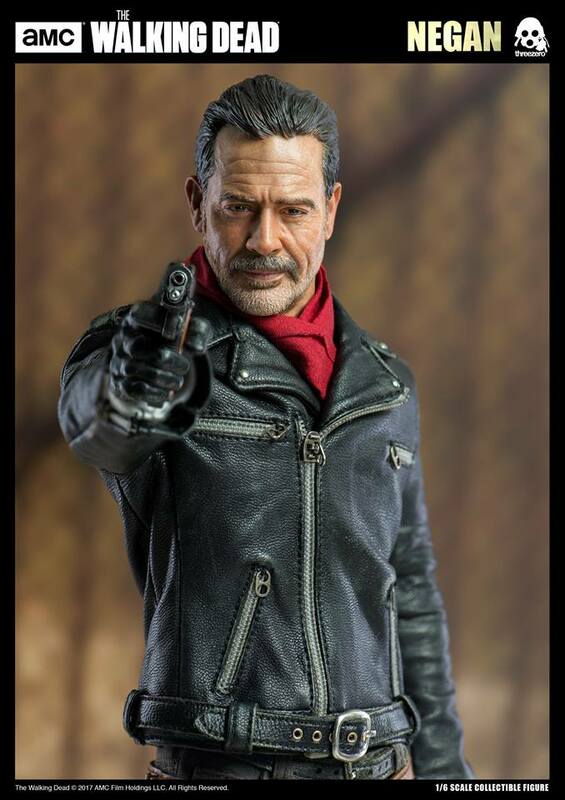 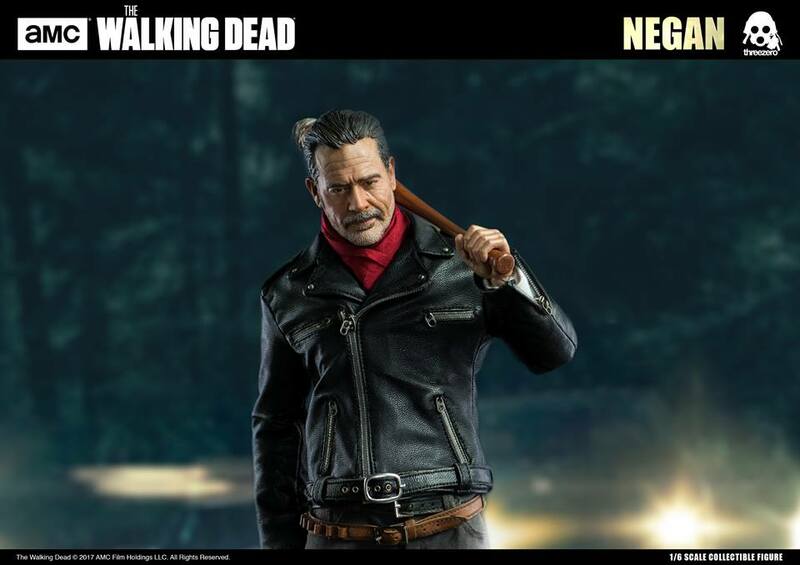 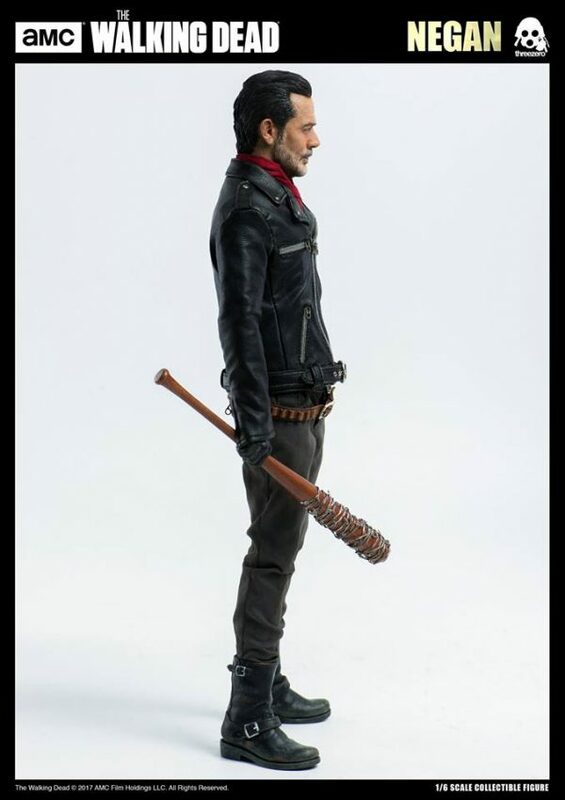 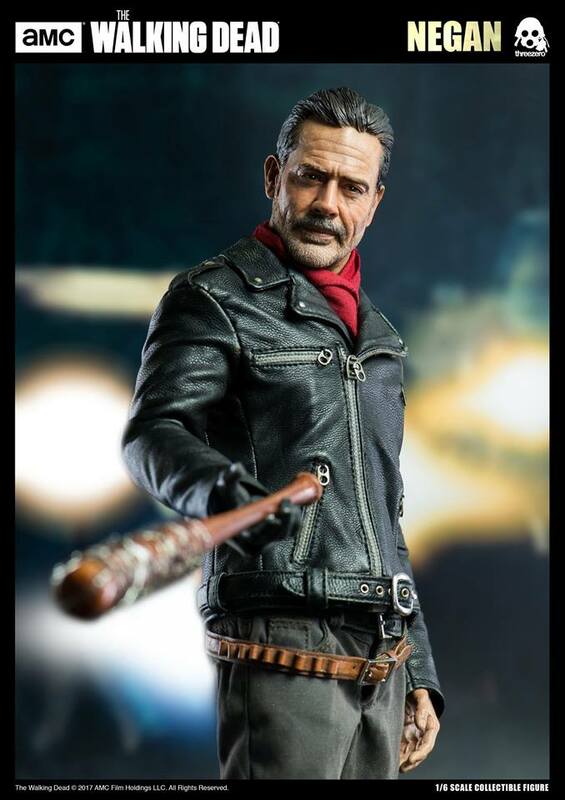 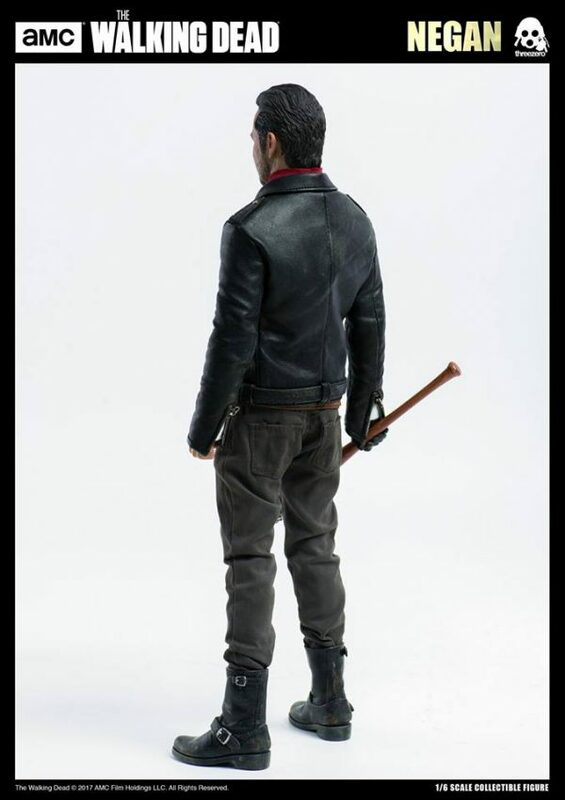 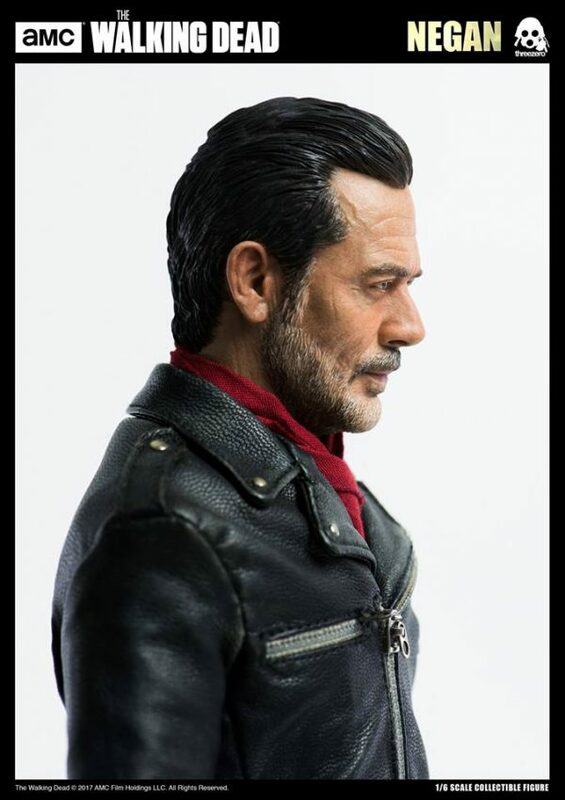 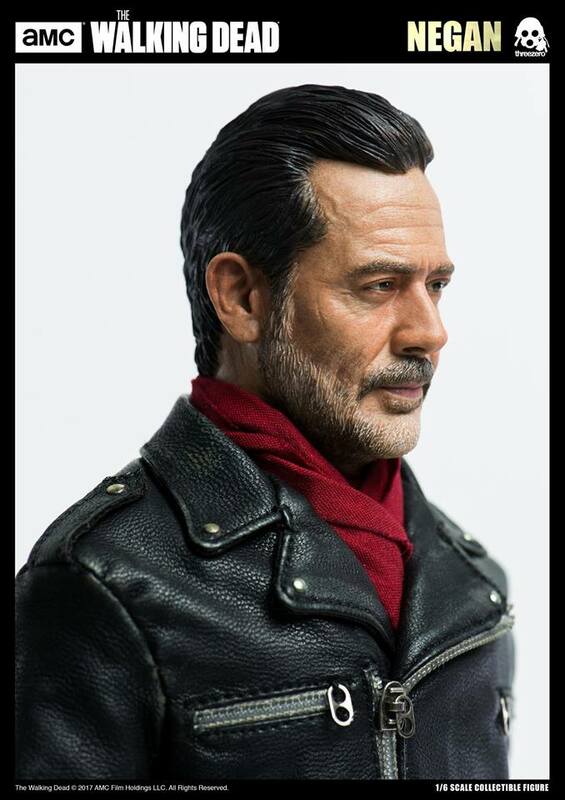 Negan collectible figure stands approximately 12” (30.5cm) tall, it’s fully-articulated and highly detailed collectible, featuring realistic likeness to characters on-screen appearance, including tailored clothing. 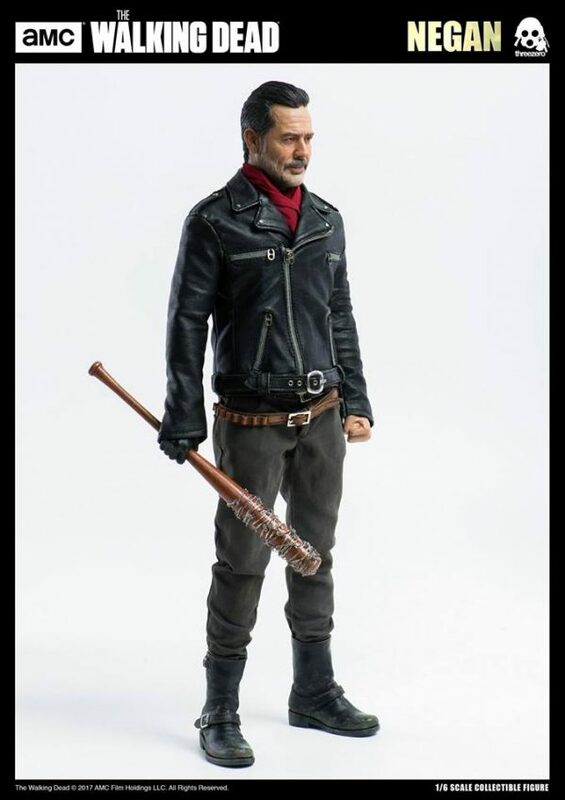 Collectible comes with Faux-Leather Jacket, Bandana, Long sleeved T-shirt, Pants with Belt, Larger Belt, Boots and features Bandage on left wrist. Colt 1911 with detachable Magazine, Two versions of ‘Lucillle’ (Plastic Bat with wood finish and Woodcast Bat with DIY Iron Wire), Hatchet and Marker Pen are included with the figure along with multiple Exchangeable Gloved and Bare Hands.